Among the most loved destinations, men have always dreamed of waterfalls. Italy’s Cascate delle Marmore, the famous Niagara Falls or the magical Angel Falls never stopped enchanting and fascinating millions of people, every day. 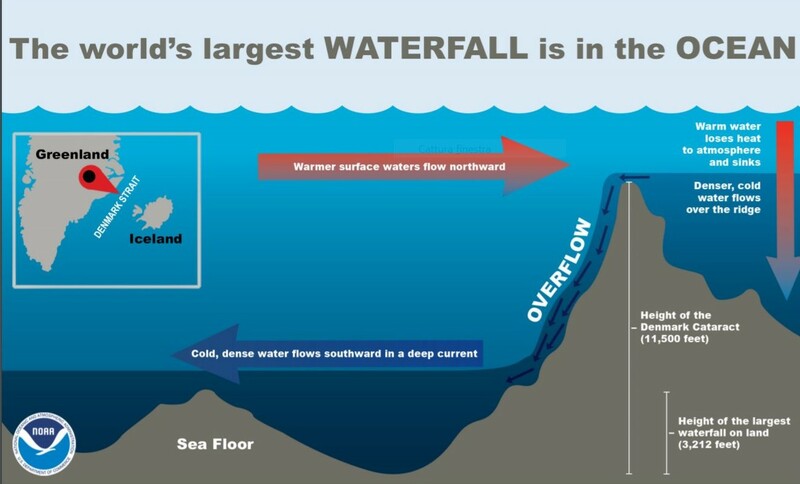 Surprisingly, according to a recent discovery, the tallest jump is under the water’s surface: we are dealing with underwater waterfalls. We have already told you about about Italy’s most spectacular waterfalls, but today we want to tell you about the tallest and mightiest waterfalls in the world. If you thought that they were the Angel Falls, in the Canaima National Park in Venezuela, well you’re wrong. A new discovery revealed that they are in the ocean, in the Denmark Strait, between Greenland and Iceland. Yes, they are underwater falls, more than 500 m under the surface: Not too easy to visit, but incredibly majestic. The figures of these underwater falls are stupefying and they dwarf anything we might find on land. 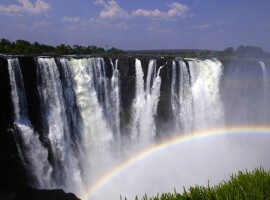 The sheet of falling water expands for 160 km: Victoria Falls (between Zambia and Zimbabwe), the largest on-land falls, are barely 1.5-km long and even the combined length of the Iguazú system (between Brazil and Argentina) reaches only 2.7km. 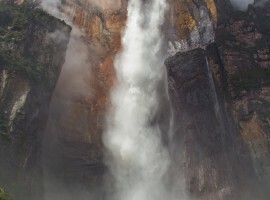 Angel Falls’ drop in Venezuela, known as the highest, is 891 m high, ma it is nothing compared to the almost 2.900 m of these underwater cataracts. They plunge indeed to a depth of 3.505 m under the sea level. 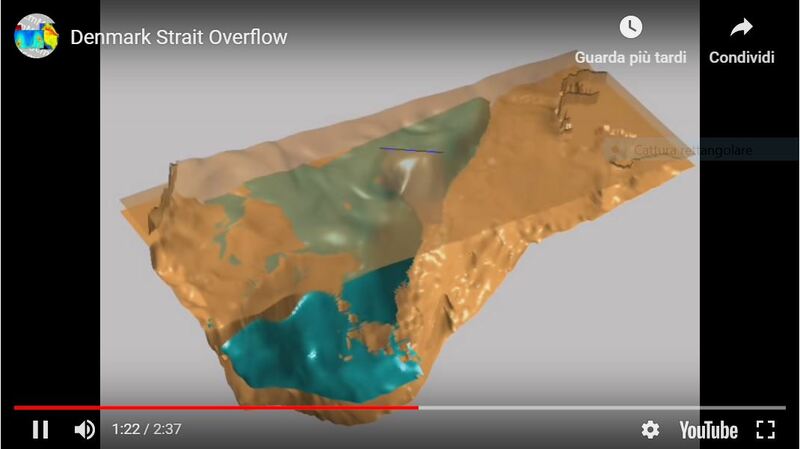 Esteems say that their water flow is between 3.5 and 5 million cubic meters per second, almost embarrassing the 200.000 m3/s carried by the Niagara Falls (between Canada and USA). But how is it possible for waterfalls to exist underwater? It’s just a “simple” matter of water currents. In the Strait, meet the freezing waters of the Greenland Sea and those slightly less cold of the Irminger Sea. The colder and denser current, flows under the warmer waters, creating these immense waterfalls that unfortunately remain hidden from human sight. This entry was posted in curiosity and tagged nature, oceans, waterfalls. Bookmark the permalink.